• Available as 1 complete unit or split model for portability. • Easy to clean PVC coated nylon material is fire retardant and is resistant to body fluids,blood and mildew. • 10 durable and comfortable-to-use carry handles. 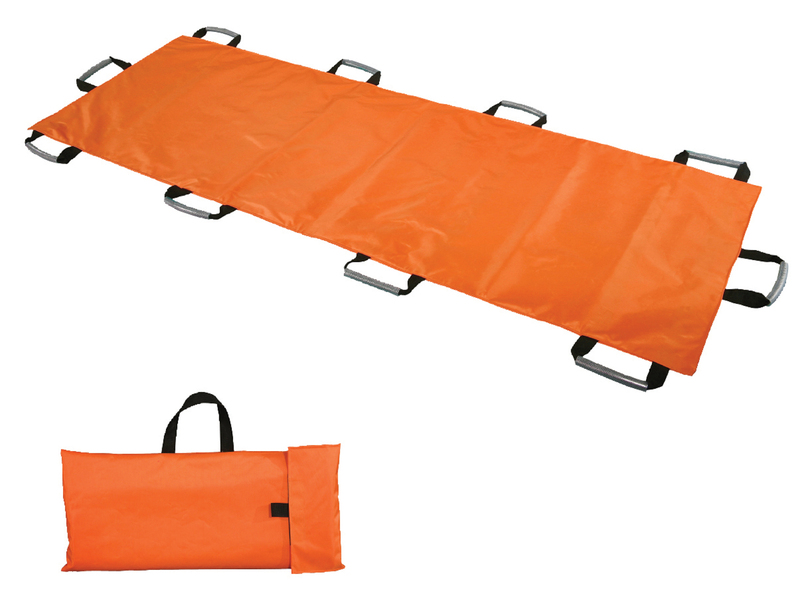 Includes 2 tether straps with fast locking buckles for rapid securing and release of patients. 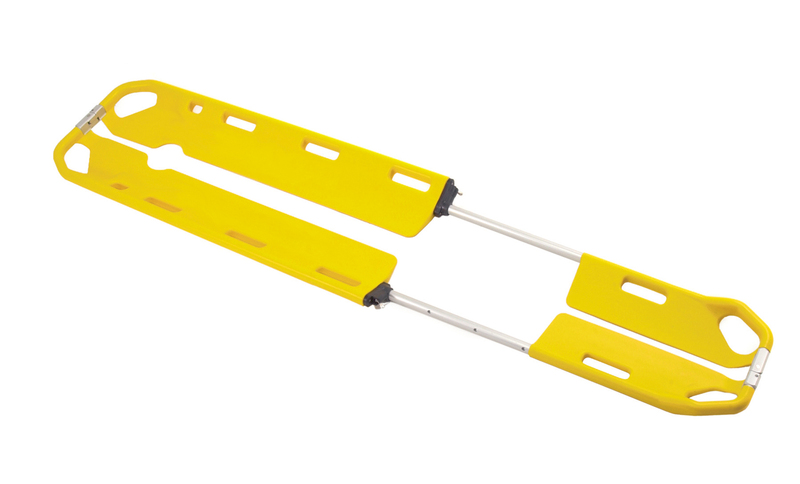 Dual fold stretcher for compact storage. 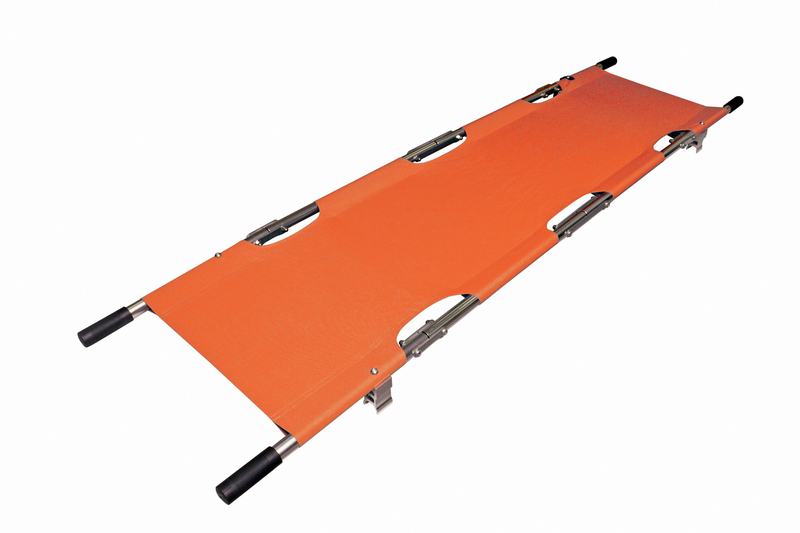 Lightweight, high-strength emergency stretcher specially designed for first aid emergencies, first aid rooms and industrial sites. Easy to clean PVC coated nylon material is resistant to body fluids, blood and mildew. 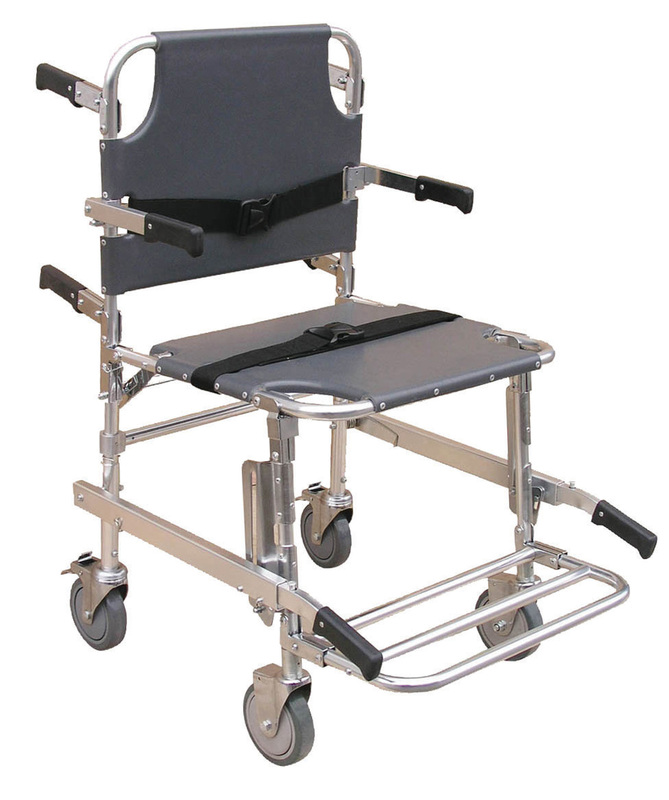 Sturdy but lightweight aluminium frame with soft grip handles and feet. Very simple, easy to use and durable. 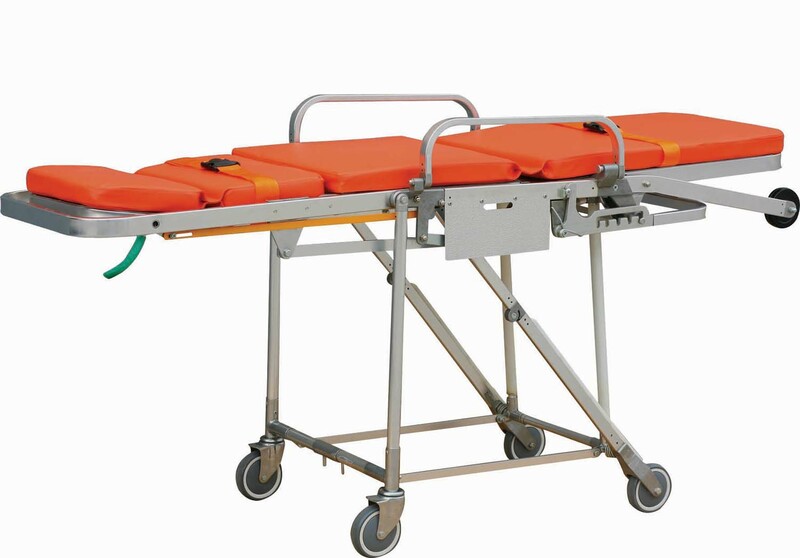 One handed operation to convert easily from a stretcher to a chair with multi positions. Easily adjustable, gas-assist backrest with infinite positions. 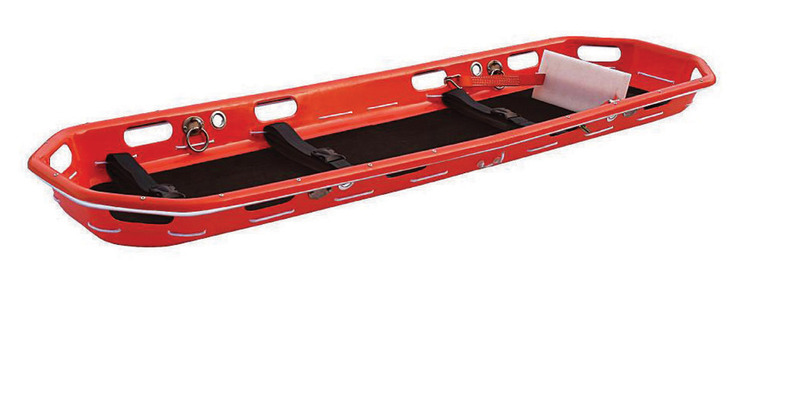 small elevators and narrow staircases, eliminating the need to transfer the patient. Multi-position chair and lay fl at for patient examination. Collapsible frame for ground level operation and vehicle loading. Swing down side arms for convenient patient transfer. Aluminium construction with un-lockable couplings both ends for scooping spinal injury patients in a scissor type motion. Telescoping tubes allow the length to be adjusted to fit patients of various heights. Non porous surface is impervious to bodily fluids. Extremely lightweight high density polyethylene construction with aluminium frame. Un-lockable aluminium coupling both ends for smooth scooping of spinal injury patients in a scissor type motion. Four adjustable lengths with quick locking pins allow the length to be adjusted to fit patients of various heights. 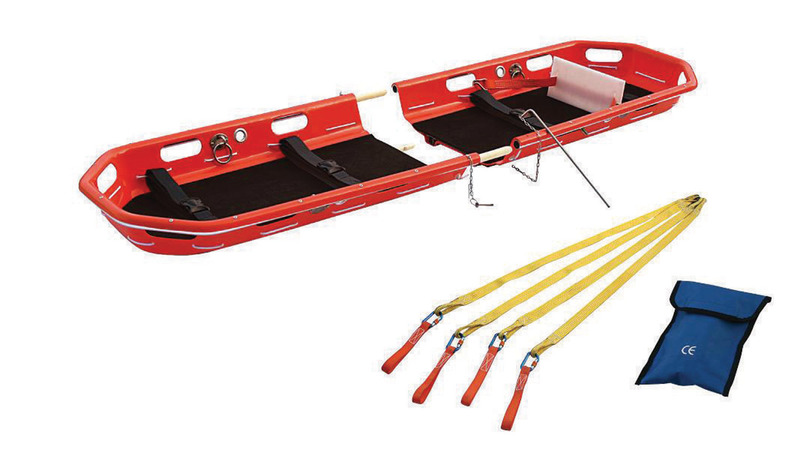 Includes 3 tether straps with fast locking buckles for rapid securing of patients.